When perusing the gardening center, you might be wondering which plants are *best* if all you are working with is a small space such as a patio. Patio Gardens are really perfect places t0 try your hand at growing your own food, as they are typically sunny and allow you to get water to them easily via a watering can or water bucket. 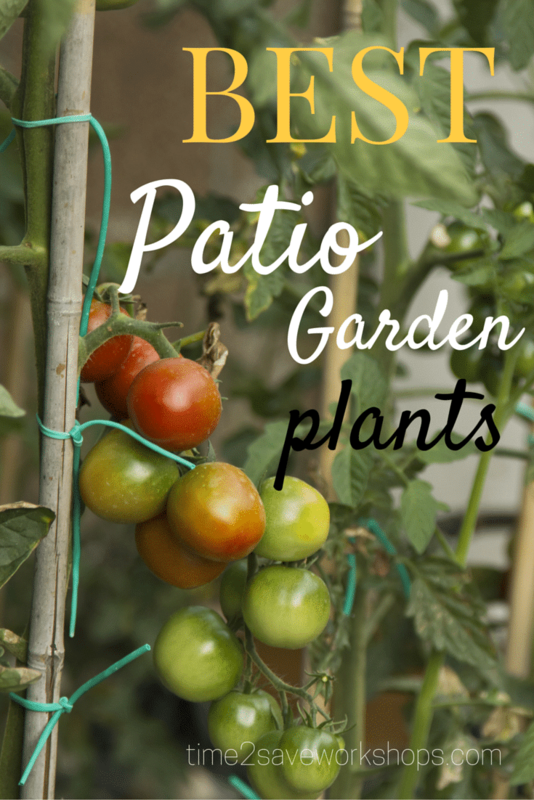 If you are debating about planning a patio garden, take a look below at the perfect plants. These plants are not only the ideal size to grow in patio planters, but easy to care for. The herbs mentioned above often need little space and actually do very well in a stacked pot like this one. 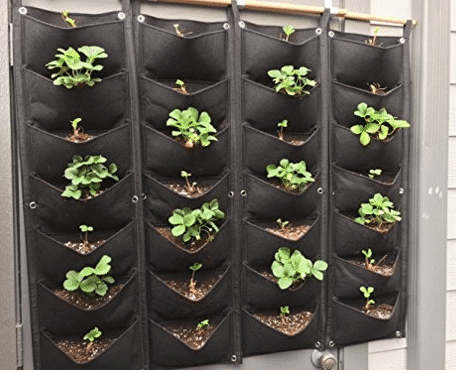 For those with a tiny patio – go vertical to allow you to grow more plants! Hanging wall planters like this one make it simple! When you arrange small pots and even trellised varieties of these plants together, the end result is a lovely assortment of plants on your patio that offer color, convenience, and of course an abundance of food. All of these varieties are ideal for small spaces or to be grown in pots or by the use of trellis. No matter what time of season it is, head to your local gardening center and see what varieties of these plants may be available. They are fool proof starter plants not only perfect for a garden patio, but perfect for a gardener who is just getting started out. If you’re looking for decorative patio plants – check out our post on making the perfect DIY Flower Planters! 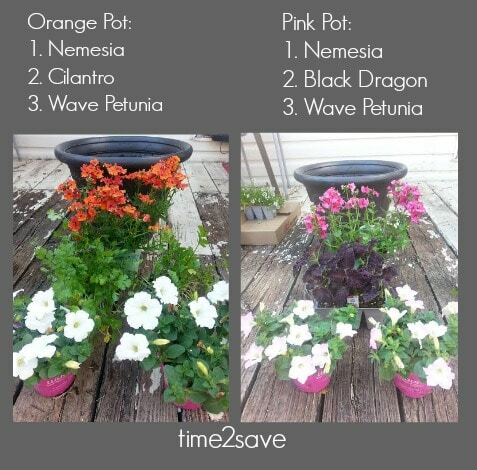 I’ve been thinking about redoing my back patio and one of the important decisions you have to make is deciding what plants to have. I love what you said about lining up pots of plants together, mixing in things like tomatoes, to give your patio a variety of color. I’ll have to consider this when I hire a company to redo my patio. Thanks for the great article.